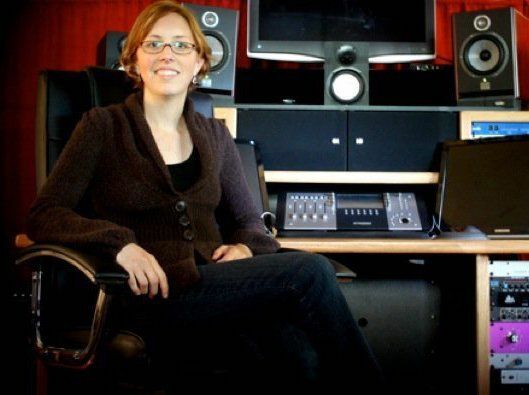 According to an article by Joy Lanzendorfer, “Why Aren’t There More Women Working in Audio?”, women make up less than 7 percent of the industry. With 77 percent of women working in event planning and close to 50 percent attending live events, it makes us question why more women don’t want to work behind the scenes. To get more insight on why this number is so low, we interviewed three kickass women to learn about overcoming challenges, how to become successful leaders within the industry and where you can turn for valuable insight and mentorship. Being a part of such a small percentage of women in the field means there are some challenges. April Fulstone, more commonly known as DJ Agile One, started her career as a freshman at Washington University in St. Louis, with her own radio show. She continues to live and work in the St. Louis area. Agile has experienced her fair share of biases based on her gender. 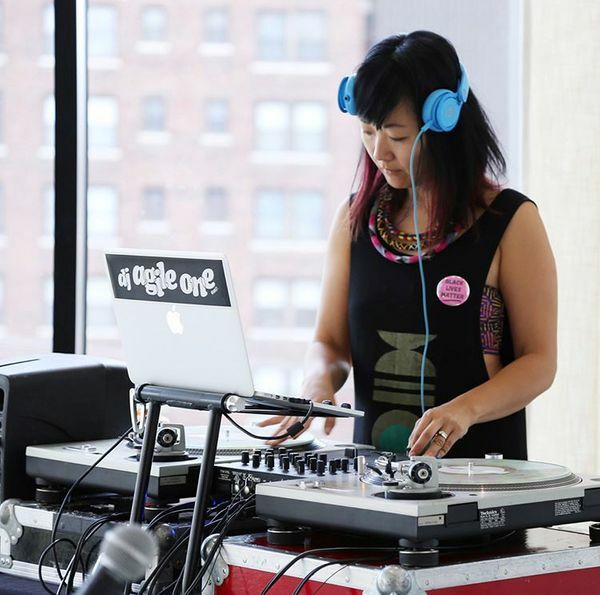 She recalls people being surprised that she could handle all of the heavy DJ equipment on her own and at other times, people taking credit away from her because she was a woman. “My partner is also a DJ and people used to always give him credit for my skills,” she explains. Despite incidents like this when starting her career, Agile kept spinning because of her passion for music. She expresses that music is her therapy. She loves spinning it, dancing to it, creating it and feeding off the energy of her audience. April Tucker, who is currently a re-recording mixer and sound editor, is another example of powering through challenges to get to success in her career. Tucker went to school for sound engineering and moved to Los Angeles in 2004 to work in music. She eventually decided to learn post-production audio and worked for The Bachelor and related programs on ABC as a re-recording mixer and now mixes on-air promos for FX Networks. Tucker has made a name for herself after working in the industry for over a decade and clients now approach her being already familiar with her work. Tucker urges young women in the field to speak up. She got her first promotion when she was a PA (production assistant) and fixed a computer that no one else could get working. She saw a problem that she could resolve, spoke up and people listened. In order to encourage young women to speak up in the industry, they need to know about existing opportunities and resources available. Alice Wilder started her career at a small club called The Comet Tavern in Seattle. She then made her way to a club called Neumo’s, where she started as a monitor engineer and then moved up to FOH (Front of House). “Exposure is the thing. Not a lot of women know that a job like this exists,” says Wilder. Well ladies, we’re here to tell you these jobs do exist and whether it be spinning records, designing light shows or mixing sound for a live event, this is an exciting time to be in the event space. Opportunities like event tech expert and event videographer are a few new and emerging roles you’re sure to see in the coming years. A/V, production and entertainment allow you to travel the world, they allow you to meet new and interesting people and keep you engaged with the ever changing technology within the industry. Creativity plays a huge role in the field because clients are always looking for fresh ideas. Be a part of an industry where curiosity is encouraged to find new ways to address challenges in the workplace and create original experiences through sight and sound. Tucker and Wilder both praise SoundGirls.org as one of the top resources. SoundGirls.org is an organization that supports women within the industry and works to “empower the next generation of women in audio.” SoundGirls.org hosts Sound Camp events in California, St. Louis, Philadelphia and New York as a way to encourage young girls and introduce them to potential careers in the industry. Other resources include Women’s Audio Mission (WAM) and Sonic Arts United. These organizations guide women through the field and give them a chance to learn from other women who are paving the way. The industry has already changed so much in the past 20 years. Tucker believes as our current industry leaders retire, we'll see a passing of the torch to a younger generation, which has considerably more women. She remembers when the only women in audio you would see were in trade magazines. Today, you can watch YouTube videos of Sylvia Massey, record producer, mixer and engineer, and Eveanna Manley of Manley Labs, as well as read about women in a variety of roles online. The technology became affordable, making it possible for you to learn and sharpen your skills from the comfort of your own home. Before that, your skill was limited to how much time you could get in the local studio or venue (if you could even get a foot in the door). Now, it’s about how much effort you want to put in regardless of your background, location, gender, age, etc. By guiding young women through the field with resources such as SoundGirls.org, we will start to see a positive shift in the A/V, entertainment and production world. Using these resources, expanding your skillset and aggressively marketing yourself can help change our industry through diversity. Join these three women, along with others in the industry, to help break the glass ceiling!